We now know that most galaxies have a supermassive black hole in their center. One of the ways to determine the mass is called reverberation mapping. 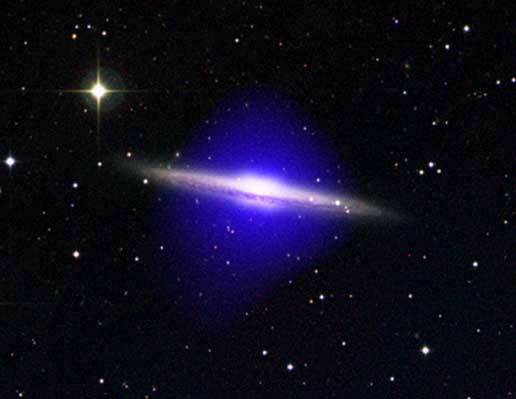 By looking at variations in the brightness of active galactic nuclei, you can determine the size of the black hole. But we can only do this for about 40 galaxies, so it would be nice to have another way to determine black hole mass. It turns out there is, using a relation known as the M-sigma relation. Spiral galaxies such as ours are basically a flat disk with a central bulge. The central bulge is affected more by the gravity of the central black hole, and less by things like dark matter. This means the speeds of stars in the central bulge are similar to the speeds of planets in a solar system (astronomers would say their motion is Keplerian). This means that the stars closer to the black hole orbit galactic center faster than stars farther away in the bulge. The upper speed of really close stars depends on the mass of the black hole. In a particular galaxy, some of the stars are moving toward us and some away from us, so when we measure their speeds using the Doppler effect, we see a range of speeds, from fast stars moving toward us, to fast stars moving away from us, and everything in between. This spread of speeds is known as the sigma of the speed. By measuring the sigma of stellar speeds in a galaxy, we know the speeds of the fastest stars. In the figure the measured mass of several galactic black holes is plotted with the sigma of stellar speed within the bulge of those galaxies. 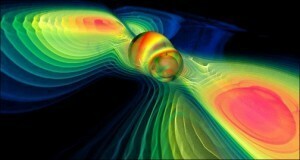 You can see there is a clear relation between black hole mass and sigma, which is the M-sigma relation. 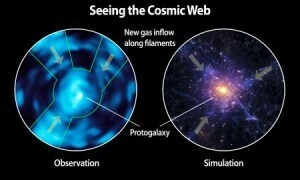 Knowing this, we can measure the sigma of a galaxy, and determine the mass of its central black hole.